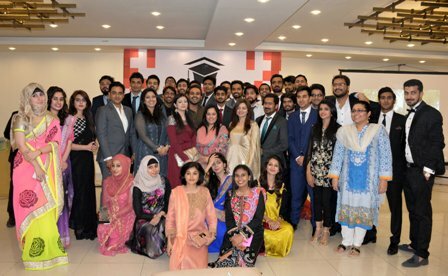 Forman Journalism Society and Mass Communication Department hosted a Farewell Party in the honor of the graduating class of 2016 on Thursday 12 May 2016 at Opium Thai. 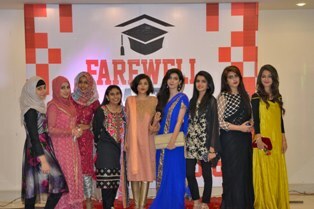 The evening started with great excitement as all the students and faculty members were dressed up for the occasion. The hosts had pooled in their resources to make the party a success. 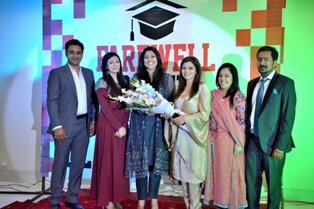 The farewell was organized to bade goodbye to the graduating class of 2016 and Zara Idress, Lecturer of Department of Mass Communication who is leaving for her PhD. 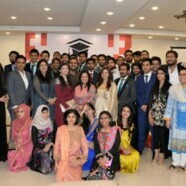 All the students and faculty members enjoyed the evening to the fullest. Students performed skits and presented titles to the graduating students based on their personalities.